Tipperary take on Dublin in their league opener on Saturday. TIPPERARY LOOK SET to have to plan without four members of their squad for their opening hurling league games against Dublin and Kilkenny. Leading forward Seamus Callanan, who has picked up Allstars over the last two years, is ruled out for a couple of weeks with a finger injury. Defender Conor O’Brien is sidelined for three weeks with injury while Kieran Bergin is ruled out for a fortnight. New panellist Sean Curran is set to miss the entire league campaign after suffering a medial ligament injury. Tipperary will announce their 26-man panel on Thursday for the opening game against Dublin in Semple Stadium this Saturday night, 13 February. They travel to Nowlan Park on 21 February for a round 2 fixture against Kilkenny. 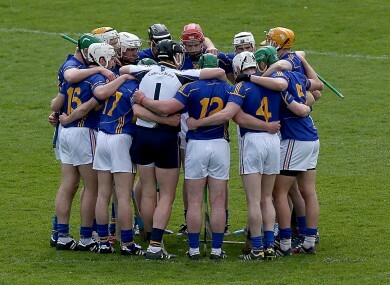 Email “4 Tipperary players set to miss opening hurling league ties with Dublin and Kilkenny”. Feedback on “4 Tipperary players set to miss opening hurling league ties with Dublin and Kilkenny”.